Wow guys, just wow. It's been nearly a year since my last post. 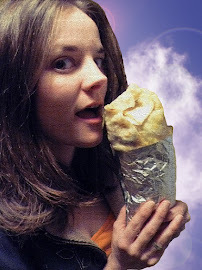 Did you think I vanished from the face of the Earth, never to eat another burrito for the rest of eternity? That would be a huge bummer. Some things have changed, but I'm still here, and still eating burritos! So lets get to it, shall we? 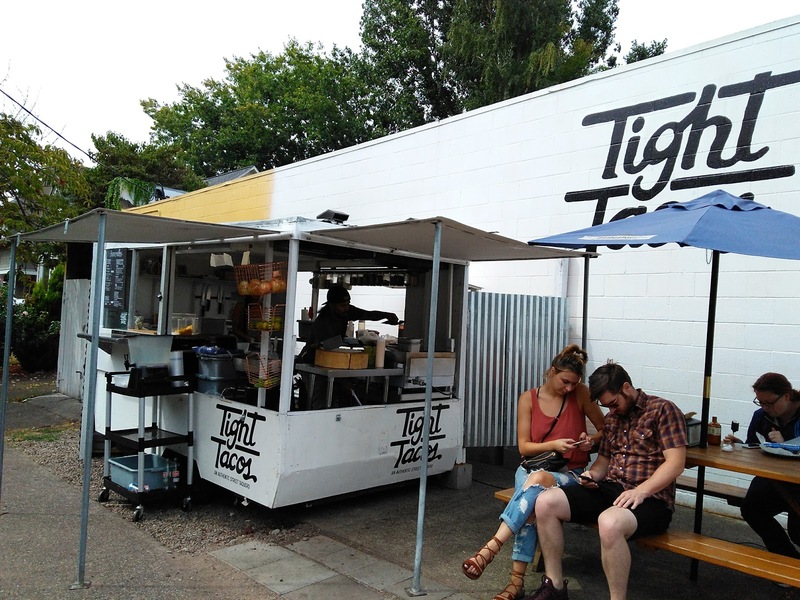 Did you know it's nearly impossible to find a taqueria in this town that's open on Sundays? REALLY Portland? Is Sunday only reserved for God... and brunch? Come on! 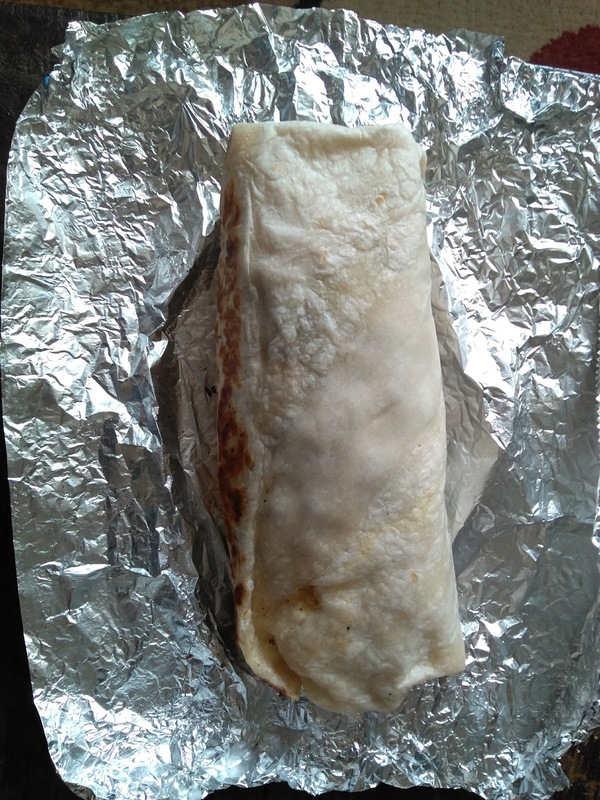 Luckily, Tight Tacos was there to save me from famine along the desolate stretches of depressed burritoless streets. It's located next to the mini mart on SE 39th (Cesar Chavez), just south of Belmont. 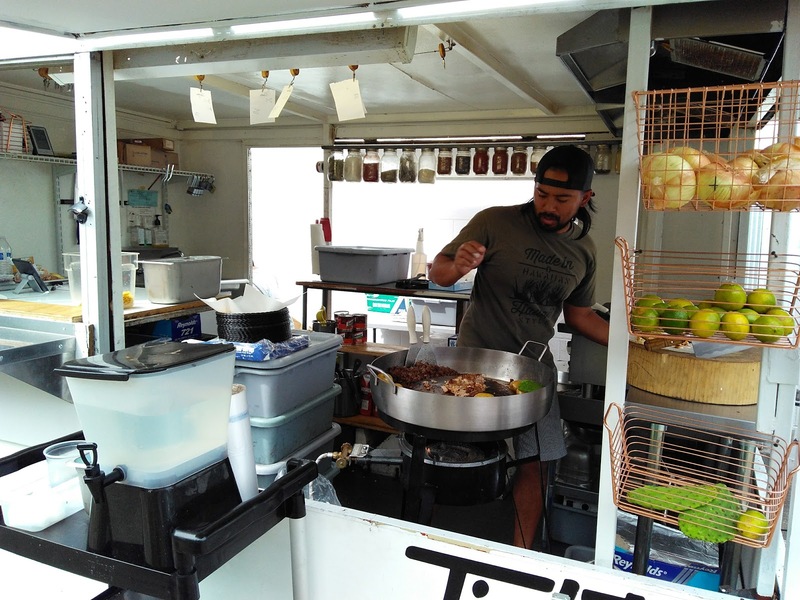 It's the cutest al fresco taco stand/food cart ever! 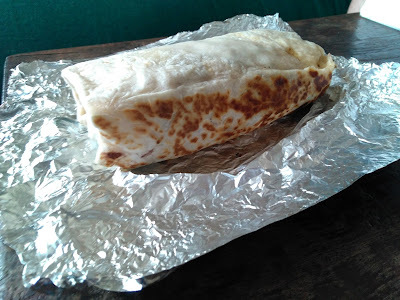 I don't think I'll ever get used to the $8 price tag that's attached to so many burritos these days. But if it's got quality ingredients, I try not to complain (at least not too much). This beauty looked a little silly, as she was toasted down the sides instead of on top and bottom. But hey, it still added that bit of crunch to the tortilla! Sweet and creamy beany love! let me eat you one by one. Let me drink you, slurp you up. Ohhhhhh creamy dreamy sweet bean love. Yeah I liked the beans, if you couldn't tell. I'm not always a fan of black beans, as they can be such little dried up heartless terds sometimes. These were creamy, sweet, dreamy little love bugs. 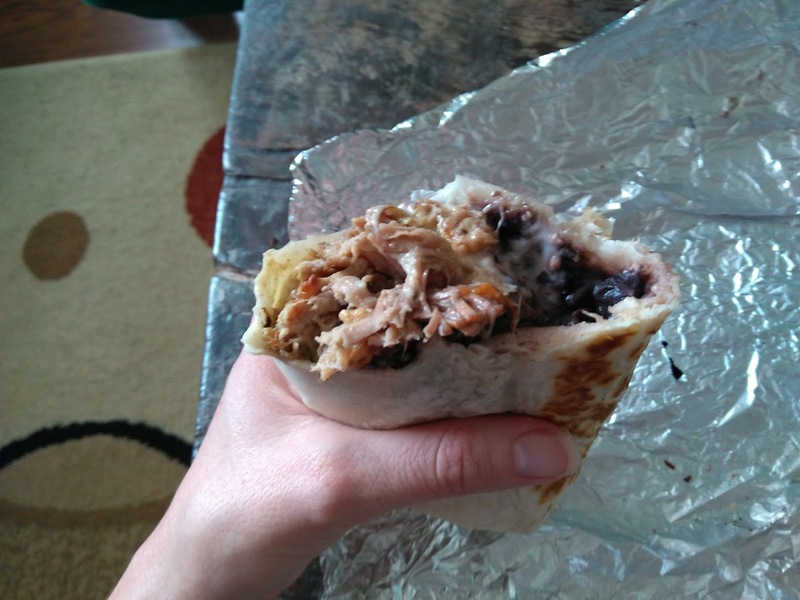 The pork had some savory flavory fatiness up in its business, but the texture through it off. Upon taking a bite, my teeth pulled out pieces of pork rather than chomping right through. A bit chewy, ya know? The guacamole and crema added some fresh cool zing that tamed down the pig salt. The cheese was good 'n gooey. 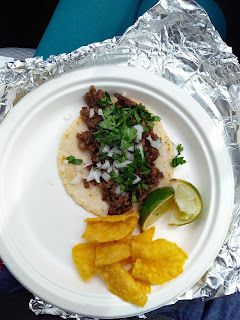 The red and green salsas were perfecto! I do believe this burrito came out sideways, having been toasted down the sides and with the beans all shoved on one side and pork on the other. The ratio of beans to meat felt right though.